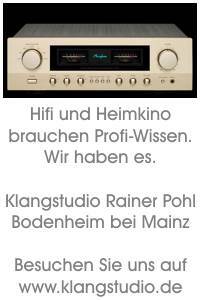 hifimuseum.de - Sie sind im Bereich : 1959 - Hifi in den USA im Aug.
Sie sind hier : Startseite → Hifi Historie und Geschichte→ Historische Details bis 1963→ 1959 - Hifi in den USA im Aug.
Es fällt auf, die meisten der Anbieter-Firmen kommem aus New York und dem direkten Umland. Und so kommt der Verdacht auf, die USA bestehen nur aus Long Island -- und Europa ist wirklich die kleine Insel draußen vor Neupfundland. Die endgültige FM-Stereo-Norm war im August 1959 von der amerikanischen FCC Behörde noch lange nicht verabschiedet (sie kam erst im April 1961), und deshalb bieten manche Hersteller "diverse" (von den 8 unterschiedlichen) Stereo- (Test-) Varianten an, teilweise mithilfe eines bescheidenen AM Kanals als Stereo-Hilfskanal. Andere Anbieter wiederum haben Multiplex- Buchsen vorbereitet, sehr ähnlich zu unseren deutschen Herstellern, die Mitte 1963 bereits mit UKW Stereo geworben hatten (Grundig zum Beispiel), aber noch gar keine Stereo-Decoder anbieten konnten, weil es noch keine Stereo-Sender gab. Weiterhin stellen einige Hersteller die neuen Selen- und Germanium- Halbleiter Gleichrichter ganz stolz heraus, das würde deutlich Wärme sparen, wieder eine Röhre weniger. Auch wird nun das Heizen der Röhren mit Gleichstrom besonders hervorgehoben, (andere machten das (noch) mit Wechselstrom), es würde "noch brummfreier" funktionieren. Und wieder andere spezifizieren den AM Tuner mit bis zu 10.000 Hz, was aber physikalisch nur bedingt funktioniert. Auch ein UKW/FM Frequenzgang von "18 to 22,000 cps" ist schon beachtlich, wenn es denn so gesendet würde. Man findet in diesen 1959er Texten noch eine ganze Menge weiterer Besonderheiten in den Werbe-Texten, die zum Schmunzeln anregen. Nachsatz : Nicht alle Scanfehler bzw. OCR Erkennungsfehler lohnen sich zu korrigieren, dazu ist die 60 Jahre alte Druckqualität zu mau und die gesamte Text-Menge einfach zu gigantisch. Wer nicht bezahlt, ist nicht dabei, es sind quasi Anzeigen ! Die nachfolgenden Einträge sind alle zu bezahlen, wie auch in den späteren deutschen Hifi-Magazinen und Jahrbüchern. Es sind quasi Werbeanzeigen, deren Texte vom jeweiligen Aufraggeber formuliert wurde. Es sind also mitnichten neutrale redaktionelle recherchierte Geräte-Listen der am Markt befindlichen Hersteller. Alleine die Hauszeitschrift der Firma AUDIO DEVICES konnte es sich leisten, ab etwa 1950 neutrale Bandgeräte-Listen zu veröffentlichen. Auch die bundesdeutschen Hifi-Jahrbücher aller Jahrgänge und Verlage waren bezahlte Werbeaufstellungen. A look into the future at the products you will find on dealers' shelves during the coming months - some brand new, some being items introduced within the past few months, and some continuing their year-after-year of success derived from reliable performance and user satisfaction. What started out to be an expanded "New Products" section for this month completely exceeded our expectations as to size. And while the sixteen pages originally intended to include all of this material is well filled up, with more than nine columns of runover commencing on page 105, we still have not covered the entire field. The entire group of phonograph pickups and arms has been held over to provide for another section in the September issue - not, perhaps, as large as this one, but in the same general style and completeness. On the subject of completeness, it is obvious that every product of every manufacturer cannot be pictured and described - it would more than cover all the pages of this relatively large issue and still have plenty left over. We have tried to cover some products from each manufacturer - choosing those the manufacturer himself wished to stress, or in some cases, just using our own judgement as to the most important items. In addition to the products pictured and described, several other items have been listed following many of the descriptions, which makes this section one of the most complete ever carried in a monthly magazine. We have departed from our usual custom of not listing prices in New Products items because this Product Preview is more in the nature of a catalog. You will be able to use in it planning additions to your present system or for planning a complete new system for yourself or for someone else. We believe you will find it useful as a reference all through the next year. Since this is a catalog-type presentation, it must be remembered that the statements made about the various products are not the result of our own testing or research, but are the specifications as furnished by the manufacturer. (3) - perish forbid - we overlooked that manufacturer completely when we sent out the requests for information. We are sincerely grateful for the co-operation given us by all the manufacturers represented. Without their concerted help we could not have prepared this material. We trust you will find it interesting and informative throughout the year. • Ultra-Linear 60-Watt Power Amplifier Kit. The Ultra-Linear II meets the performance specifications of the most demanding professional application or the most discriminating music lover. Embodying the well-known patented Ultra Linear circuit, it delivers full output with less than 1.0 intermodulation at any standard combination of test frequencies. Harmonic distortion is less than 1.0% at any frequency between 20 and 20,000cps at output within 1.0 db of 60 watts. Frequency response is within 1.0 db from 18 to 30,000 cps at full output. Square-wave response is entirely without distortion for all practical purposes from 20 to 20,000 cps, with no overshoot or ringing. Rise time of wave is 1.5 microseconds. Damping factor is variable from 0.5 to 10. Damping control may be switched out to provide a fixed damping factor of 15. Hum is 90 db below 60 watts. For either low- or high-power operation, the Ultra-Linear II is unexcelled. Acro Products, 369 Shure Lane, Philadelphia 28, Pa. User net price, $79.50. Assembled, $109.50. Stereo 20 Self-powered 20-w ampl. Kit $44.50. • Stereo Amplifier-Preamplifier. This latest addition to the Altec-Lansing line of high fidelity equipment, Model 353-A, is a complete amplifying system, embodying two 25-watt stereo channels which may be combined for 50-watt monophonic operation when desired. Among its features is a matrixing network for "three-channel" stereo. Circuitry includes feedback-type equalization plus feedback around all tubes for minimum distortion. All low-level tubes have d.c. on heaters. Fourteen inputs include two each for magnetic cartridge, ceramic cartridge, tape head, tape recorder, tuner, microphone, and multiplex. Frequency response is 20 to 20,000 cps +1.0 db at 25-watts output; 10 to 30,000 cps + 0.5 db at 10 watts. Harmonic distortion is less than 1.0%. Tone controls are ganged and provide 14 db of boost or cut at 50 and 10,000 cps. Rumble filter attenuates at the rate of 12 db/octave below 30 cps. Silicon rectifiers are used in power supply. Engineered to the professional standards of other Altec-Lansing equipment, the 353-A meets every criterion of the most discerning music lover. Altec Lansing Corporaton, 1515 S. Manchester Ave., Anaheim, Calif.
• Stereo Preamplifier-Amplifier Kit. A complete audio control center which offers exceptional performance, the Arkay CS-28 matches advanced engineering with excellence of design which won the Fashion Foundation's coveted Gold Medal award. Identical 14-watt amplifiers may easily be converted to 28-watts for monophonic operation. Reverse-stereo switch interchanges channels when desired. Balance control compensates each channel for speaker systems and room acoustics. Gain control operates both channels simultaneously. All of the front-end facilities, including tone controls, are available at the dual preamp output connectors. For tape recording loudness and tone controls are bypassed by means of a panel-mounted switch. Frequency response is 20 to 20,000 cps within ± 1.0 db. Intermodulation and harmonic distortion are under 1.0% at rated output. Tone controls afford 16 db boost and cut at 50 and 10,000 cps, respectively. Hum and noise level is down 70 db at low-level input. Radio Kits, Inc., 88-06 Van Wyck Expressway, Jamaica 18, N. Y. User net price, in kit form, $64.95 ; fully wired, $99.95. • Stereo Amplifier. Developed for stereo from input to output, the Bell "Carillon" Model 6060 is conservatively rated at 30-watts output for each channel, with 60 watts of monophonic power available when needed. Frequency response is stated by the manufacturer to be 15 to 30,000 cps ± 1.0 db. Hum level is 71 db below rated output. All operating controls of the 6060 are conveniently located across the front panel. Bass controls permit 15 db rise and 18 db droop at 50 cps; treble controls afford 9 db rise and 18 db droop at 10,000 cps. Also located on the front panel are four lever-type switches which provide high- and low-frequency filter cut-off (to eliminate hiss and rumble), stereo function control, and speaker selection for stereo in more than one room. A separate balance control adjusts the volume level between two stereo speakers. Continuously-variable loudness control compensates for bass and treble at low listening levels. Dial frame is extruded aluminum, while the panel has all the lettering etched for clarity. Vinyl tan cover is set off by the perforated thermal duct which provides ventilation. Bell Sound Division, Thompson Ramo Wooldridge Inc., 555 Marion Road. Columbus 7, Ohio. • Stereo Amplifier-Preamplifier. The new Bogen Model DB230A is a stereophonic amplifying system providing two 30watt channels for stereo use or 60 watts of output for monophonic operation. Harmonic distortion is under 1.0% at full output. Frequency response is 20 to 20,000 cps within 0.5 db. Featuring many engineering refinements, the DB230xV has a six-position selector control for handling inputs for tape, phono cartridge, tuner, or other auxiliary equipment. The unit has volume, bass and treble controls and two hi-lo filter switches. Special features are the Bogen "Speaker Phasing Switch," which eliminates the "hole-in-the-middle" effect that sometimes occurs in stereo reproduction, a loudness contour selector for levelling out frequency response at low volume, and a control for balancing the two channels plus a channel-reverse switch. Bogen-Presto Company, a Division of The Siegler Corporation, Paramus, X. J. • Fifty-Watt Stereo Amplifier. Although modest in cost, the Model N-2200 "Classic" embodies a complete stereo control system and two power output channels with a combined continuous-power rating of 50 watts. Included among features are separate equalization, selector, and mode controls offering the user full flexibility of operation. Tape-monitoring and tape-output jacks permit direct tape recording with complete control of volume and tone. Individual bass and treble controls are included for each channel. Sixteen input jacks mounted in the rear of the amplifier are isolated from each other so that any or all of them may be used at any time without interference or signal loss. Output circuitry utilizes four EL-86 tubes, with resultant intermodulation being well under 1.0% at full output. De Wald Radio Division of United Scientific Laboratories, Inc., 33-15 37th Ave., Long Island City, N. Y. User net price, housed in an attractive black picture-frame case with brushed-brass face plate, $139.95. • "Stereo 70" Power Amplifier Kit. This amplifier kit is designed to meet the needs of the discriminating listener for a moderate-power high-performance power amplifier. Engineered for both stereophonic and monophonic operation, the Stereo 70 incorporates two 35-watt channels which can be paralleled by means of a convenient switch to provide 70 watts of single-channel output. The high power capability and low internal impedance of the amplifiers provide excellent damping for all types of high fidelity speaker systems, including the low-efficiency types, without need for individual adjustments. Frequency response is ±0.5 db from 10 to 40,000 cps ; power response - 20 to 20,000 cps without exceeding 1.0% distortion within 1.0 db of 35 watts. Sensitivity is 1.3 volts rms for 35 watts output. Hum and noise level is more than 00 db below 35 watts. The use of prewired printed circuitry, detailed step-by-step instructions and pictorial diagrams, enables even the novice kit builder to construct this amplifier with complete confidence. Average construction time is about five hours. Dynaco Inc., 617 N. 41st St., Philadelphia 4, Pa. User net price, including protective cover. X99.95. • Low-Cost Stereo Amplifier Kit. This new Eico amplifier brings full stereo performance to even the most budget-minded music lover. It is engineered to provide true hi-fi quality at power levels which are adequate for driving high-efficiency speakers to concert volume. The input selection, mode of operation, tone and level controls insure complete flexibility of operation. The AF-4 employs a moderate single-ganged tone control so that available gain, released by this type of control, is converted into distortion-reducing negative feedback. The problem of distortion, created where available gain is expended on severe bass and treble boost, is thereby avoided. The feedback level around each power amplifier is 27 db, which results in intermodulation and harmonic distortion figures, taken at average listening levels, which fall well within high-fidelity standards. Front panel controls are : input selector, mode, level, tone, and on-off. Five pairs of inputs are provided for low-and high-gain program sources. A service-selector switch permits parallel or separate operation of the power amplifiers for stereo or monophonic use, respectively. Exact engineering specifications were not available at press time. Electronic Instrument Co. Inc., 33-00 Northern Blvd., Long Island City 1, N. Y. User net price, in kit form, $38.95 ; factory wired, $64.95. • Stereo Master Audio Control. There is no more versatile preamplifier-control unit than the Fisher Model 400-CA. Capable of remote operation when used with the Fisher RK-1 remote control unit, it contains 16 input jacks for any combination of stereo or monophonic application. Four output jacks are provided and a total of 11 controls - including bass and treble controls to provide independent regulation of each channel, or ganged control of both channels - provide a shading of adjustment to satisfy the most demanding music lover. Frequency response is uniform from 20 to 25,000 cps. Distortion is less than 0.15% for 2 volts output ; less than 0.3% for 5 volts output. Hum and noise level is down 65 dh for 10-mv low-level input and 2 volts output. Crosstalk between channels is down more than 05 dh. Cathode-follower recorder output, and low-impedance output to amplifier-speaker system, permit output cable length of 100 ft. without impairment of signal. D.C. is used on all heaters. Four switched auxiliary a.c. receptacles on rear apron furnish up to 650 watts for associated equipment. The 400-CA will meet every demand of the most discriminating connoisseur. Fisher Radio Corporation, 21-2] 44th Drive, Long Island City 1. NY. User net price, $ 174.50. • "Stereo Classic" Amplifier. The G-E Model MS-2000 is an integrated unit combining a high-quality stereo preamplifier with matching power amplifiers on a single compact chassis. Notwithstanding its moderate price, it leaves nothing to be desired in audio performance. Power output is 28 watts, 14 watts per channel in stereo operation. Frequency response is 20 to 20.000 cps ±0.5 db at rated output: distortion is below 1.0%. Hum and noise level is down 55 db and 73 db on low-and high-gain inputs, respectively. Channel separation is better than 40 db over the entire frequency range. Full-wave selenium rectifier reduces heat. Front panel controls include rumble filter and continuously-variable loudness contour adjustment. Tone controls are of the variable turnover Baxandall type. The MS-2000 is compact for all its power output, measuring 5%"h x 15"w x 12"d (less knobs). The cabinet is finished in leather-grain gray vinyl. Front panel is finished in darker gray with satin silver trim. General Electric Company. Audio Components Products Section, West Genesee St., Auburn, N.Y.
• Twenty-Eight Watt Stereo Amplifier. The new Grommes Model 28PG is complete in every respect, incorporating a full set of ganged controls, two preamplifiers, and two 14-watt power amplifiers that may be switched to 28 watts of monophonic power when not using stereo sources. Low-heat silicon rectifiers are used in the power supply. Frequency response is within ± 0.5 db from 20 to 20,000 cps. Harmonic distortion is less than 1.0 and intermodulation is under 2.0% at full rated output. Ten inputs accommodate virtually any type of signal source. Along with all conventional adjustments, a channel-balance control permits variation of input to stereo speakers. Push-button switches are used for rumble and scratch tillers, to disable loudness control compensation, and for switching power on and off. Tone controls provide 15 db of boost or cut at 50 and 10,000 cps. The 28PG is fused and contains two convenience outlets. Moderate in price, it offers an unexcelled combination of fine performance at moderate cost. Precision Electronics. Inc. 9101 King St., Franklin Park. 111. • Stereo Amplifier-Preamplifier. The "Ballad" Mode] A230 is a new stereo amplifier incorporating dual preamplifiers and dual 15-watt power amplifiers on a single strikingly hand-some chassis. It operates under the most conservative conditions, including self-bias of the on put tubes, assuring long trouble-free performance. The power amplifiers have instan-t ueous recovery time, resulting in clean and faithful transient response. Among features of the Ballad are friction-clutch tone controls which adjust bass and treble separately for each channel and lock automatically to provide the convenience of ganged operation. An exclusive speaker selector permits the operation of a third speaker as a "center channel" in a stereo system, and it also permits a remote speaker to be used mono-phonically at the same time. All are selectable by front panel switches. Additional features include : illuminated push-button on/off switch which permits the amplifier to be switched on or off without disturbing control settings ; special tape outputs unaffected by loudness and tone controls ; speaker phasing switch ; contour switch : balance control ; mode switch ; function selector switch ; rumble filter ; impedance selector switch. Frequency response is stated by the manufacturer to be 15 to 70,000 cps ± 1.0 db at normal listening level. Harmonic distortion is less than 1.0% at full rated output. Harman-Kardon, Inc., 520 Main St., Westbury, X. Y. User net price, less enclosure, $109.95. boards. Heath Company, Benton Harbor, Mich. User net price. is 15 to 35,000 cps ±1.0 db at 10 watts output. In addition to offering all conventional functions for 2-channel stereo, this unit provides a unique third, or "center channel" output which permits feeding full-range program materia] to a center speaker for elimination of the "hole-in-the-middle" effect, or for feeding an extension speaker for monophonic listening. Bass and treble controls offer 15-db boost and droop at 20 and 20,000 cps, respectively. Among other advanced features are printed circuitry plus printed-circuit switches for ease of assembly ; dual-concentric clutch-type tone controls for individual or simultaneous adjustment of the two channels, and switch-controlled Fletcher-Munson-type loudness control. Harmonic distortion is less than 0.5% at rated output. Allied Radio Corporation, loo X. Western Ave., Chicago SO, 111. User net price (approximate), $80.00. • Newly-Styled "Point One" Stereo Preamp. Impressive new styling enhances the appearance of the latest version of the well-known Leak "Point One" stereo preamplifier. Decorator-designed, the new front panel offers changeable color panels for both faceplate and knobs, enabling the user to match the decor of any room. The new escutcheon plate is interchangeable with the present one, permitting present owners the option of inexpensive conversion to the new styling. The "Point One" includes provisions for playing stereo, stereo reverse, left channel only, right channel only, and monophonically. There are five dual inputs for virtually any type of stereo or monophonic source, including microphone. Bass and treble controls permit boost and cut of 16 db at 30 and 15,000 cps, respectively. All controls are of the dual-ganged type, operative on both channels simultaneously. Distortion is less than 0.1% for 1.25-volt output. A balance control allows for a great difference in sensitivity between speakers. This new unit has been expressly matched to all Leak power amplifiers. British Industries Corporation, 80 Shore Road, Port Washington, N. Y. User net price, less cabinet, $109.50. • Stereo Console. The Marantz Model 7 is a self-powered stereo preamplifier-control unit which features a high order of versatility, together with remarkable ease of operation. It will deliver unexcelled performance when used with either stereo or monophonic program sources. Typical of the quality inherent in this unit is the volume control. Especially developed for Marantz, each control is individually tested for 2db tracking at any point of rotation down to 65db attenuation ; total range is 90db. Separate step-type feedback tone controls with identical curves are incorporated in each channel. The steps are in increments of 3.0 db at 50 cps and 2% db at 10.000 cps ; both controls are removed from the circuit in flat position. A full-range balance control permits complete cut-off of either speaker. Frequency response is 20 to 20,000 cps ± 0.5 db. Intermodulation and harmonic distortion are reduced to negligibility. Hum is far below thermal noise. Nine pairs of inputs and three pairs of outputs are mounted on rear panel. The Model 7, while not inexpensive, offers a measure of performance well in keeping with its price. Marantz Company, 25-14 Broadway, Long Island City 6, N. Y.
cabinet, in mahogany, walnut or blond, $24.00. • Stereo Preamplifier-Control. Designated as the Model C-20 Stereo Compensator, this new Mcintosh development is designed for the music lover who insists on the nearest possible approach to perfection. Full stereo flexibility is provided plus bult-in protection for the user's investment in monophonic records. Frequency response is 20 to 20,000 cps +0.5db. Distortion is under 0.2% at rated output over the entire frequency range. High-level-input hum and noise level is 85db below rated output of 2.5 volts. Six-position mode selector includes : stereo ; stereo reverse ; left channel on left speaker only ; right channel on right speaker only; left channel on both speakers, and right channel on both speakers. For monophonic operation, the C-20 internally parallels and decouples a stereo phono cartridge to provide best possible reproduction from monophonic records. A 2-position high-frequency cut-off control (9 and 5 kc) is provided for suppressing hiss. Rumble filter rejects low-frequency noise. Treble control provides 13 db boost and 18 db attenuation at 20,000 cps ; bass control provides 16 db boost and 20 db attenuation at 20 cps. Fletcher-Munson-type "aural compensation" control is continuously variable. The C-20 matches its impressive performance with handsome appearance. Mcintosh Laboratory, Inc., 4 Chambers St., Binghamton, N.Y.
• Stereo Preamp-Amplifier Kit. The Paco Model SA-40 consists of two 20-watt amplifiers, each with its own preamplifier-control system, on a single chassis. It is mounted in an attractive gold and satin black case, with satin gold panel to blend harmoniously with all decors. The amplifiers deliver a true 20 watts output per channel due largely to a well-regulated low-impedance power supply. There is no clipping even on sustained high-level passages. Distortion is kept to a minimum because of the unique main feedback circuit which eliminates phase-shifting components. In addition to all the standard controls and switches the Model SA-40 includes : two dual phono inputs to permit the use of both record changer and manual turntable, special switching which affords selection of additional speaker systems anywhere in the home, and Balance-Right and Balance-Left test selector for a simplified aural check on the balance of two speakers for best stereo results. Frequency response measured at 1.0 watt steady-state output is 30 to 90,000 cps ± 1.0 db. Intermodulation and harmonic distortion are less than 1.0% and 0.2%, respectively, at full rated output. The SA-40 is supplied with step-by-step assembly instructions and giant-size wiring diagrams to ensure easy and successful assembly. PACO Electronics Company, Inc., 70-31 84th St., Glendale 27, N. Y. User net price, in kit form, $79.95 : factorv wired, $129.95. • Stereo Preamplifier-Control. Introduced by Pilot as being "as professional as a stereophonic preamplifier can be," the Model 216-A offers virtually every facility which could be desired for comprehensive audio control. Two illuminated YU meters incorporated for indicating tape recording output level, or for visually balancing the channels of a stereophonic music system. Exclusive "Trolok" tone controls permit treble and bass adjustment for each channel separately, or ganging for simultaneous adjustment. Fourteen inputs include two each for phono record changer, phono turntable, tape head, microphone, FM-AM, multiplex, tape recorder. Loudness contour control applies Fletcher-Munson compensation to both channels simultaneously. Electronic crossover feeds low frequencies to Channel A and high frequencies to Channel B for monophonic bi-amplifier use. Frequency response is 20 to 20,000 ± 1.0 db. Harmonic distortion is 0.2% below maximum sensitivity. Audio output is 1.0 volt. Hum and noise level is down 80 db. Professional in both design and performance, the 216-A will enhance the potential of any home music system. Pilot Radio Corporation, 37-04 36th St., Long Island City 1, N. Y. User net price, complete with enclosure, $199.50. • Stereo Amplifier-Preamplifier. Containing two individual amplifiers and preamplifiers on a single compact chassis, the Integra Mark XXIV affords stereo users two audio channels, each with a continuous power rating of 20 watts. When desired the two channels may be combined for monophonic operation with a 40watt power rating. Although low in cost, the Integra offers many features of higher-priced amplifiers. Frequency response is stated by the manufacturer to be flat from 18 to 20,000 cps, with harmonic distortion and intermodulation less than 0.4% and 0.6%, respectively, at normal listening levels. Separate bass, treble, and volume controls are supplied for each channel. A master loudness operates on both channels simultaneously. A three-position contour switch permits adjustment to room acoustics. Channel reversal is accomplished by means of a panel-mounted slide switch. The Integra is handsomely finished with a white and gold contrasting front panel. Precise Development Corporation, 2 Neil Court, Oceanside, N.Y.
• Stereo Preamplifier-Amplifier. Developed for use in advanced music systems, the S-R Model 1717 meets professional standards throughout. It is a combination on a single chassis of two preamplifiers, including tone controls, with a stereo power amplifier, each channel of which is rated at 20 watts. All controls are of the dual ganged type, affording ease and accuracy of stereo tuning. A stereo balance control provides equal volume from both channels at any point in the listening room. Type 7189 tubes are used in a high-efficiency push-pull output circuit, delivering less than 1.5% intermodulation and less than 0.5% harmonic distortion at rated output. Bass and treble controls afford up to 15 db boost at 40 and 10,000 cps, respectively, with less than 1.0 db rise at mid-frequency. Carbon-deposited resistors are used in the preamp for minimum noise. Frequency response is within ± 1.0 db from 20 to 15,000 cps through the entire system with tone controls set flat. A separate audio output is supplied from each channel for tape recording. An 8-position selector switch controls inputs and equalization for various types of recordings. Sargent-Rayment Company, 4926 E. 12th St., Oakland 1. Calif. User net price, including attractive metal housing, $189.60. • Stereo Amplifier. The Scott Model 299 is a complete stereo amplifier-control center. It is conservatively rated at 40 watts and includes two complete channels with dual preamplifiers and dual 20-watt power sections. Among its advanced stereophonic features is a third-channel output for eliminating the "hole-in-the-middle" effect. Separate bass and treble controls are provided for each channel to permit compensation for differences in speaker characteristics. Low-level stereo cartridge inputs have 3.0mv sensitivity for accommodation of pickups with very low output. Phase-reversal switch corrects for reversed phasing on improperly made tapes and recordings. In addition to its function as a stereo amplifier, the 299 can also be used as an electronic crossover. Special balancing circuit permits quick and accurate channel balance. Preamplifier tubes have d.c. on filaments to minimize hum. Frequency response of the 299 is stated by the manufacturer to be virtually flat from 20 to 30,000 cps. Intermodulation and harmonic distortion are less than 0.3% and 0.8%, respectively. Hum is stated to be 80 db below rated output. Technical excellence of the 299 is matched by its flexibility of operation, containing, as it does, control for most every conceivable stereo or monophonic function. H.H.Scott, Inc. 111 Powder Mill Road, Maynard. Mass. • Stereo Amplifier-Preamplifier. The new Sherwood Model S-5000 incorporates two channels with a continuous power handling capacity of 20 watts each. It permits either 20-watt-stereo, or 40-watt-monophonic operation with only one set of basic coordinated controls, yet offers every important control feature essential to both stereo and mono-phonic operation. These include 10 two-channel controls, stereo normal/reverse switch, phase inversion switch, and dual amplifier monophonic operation with either set of input sources. All controls normally operate both channels simultaneously. In addition, the bass and treble controls feature friction-locked shafts which allow the adjustment of each channel separately when desired. Also provided is operation of a stereo phono cartridge playing a monophonic record with vertical rumble and noise components balanced out. Frequency response of the S-5000 is 20 to 20,000 cps within + 0.5 db. Harmonic distortion and intermodulation are 0.5 and 1.5%, respectively, at full rated output. Styling and front-panel size are identical with that of other Sherwood amplifiers and the S-2000 FM-AM tuner (see Tuners on page 74). Sherwood Electronics Laboratories, Inc., 4300 N. California Ave. Chicago 18, 111. User net price, less case, $189.50. • Stereo Control Amplifier. The Stromberg-Carlson Model ASR-433 is a completely versatile amplifier which can be used for stereo or monophonic reproduction, or as an electronic crossover for monophonic operation with a tweeter and woofer. Each of its two channels has a continuous power rating of 12 watts with frequency range of 20 to 20,000 cps within +1.0db. Intermodulation and harmonic distortion are both under 1.0%. The exclusive Stromberg-Carlson "output balance signal" permits balancing of the two channels by a signal tone. Each channel has its own set of controls - loudness/volume, bass and treble - plus a master gain control which affects both channels simultaneously. Full-frequency feedback provides minimum distortion at all frequency levels. D.c. is superimposed on all preamp filaments, bringing hum and noise level down 63 db. Matching impressive performance with distinctive appearance, Stromberg-Carlson amplifiers are designed by Joseph Federico, one of the country's leading designers. Stromberg-Carlson, Special Products Division, 1400 N. Goodman St., Rochester 3, N.Y.
• AM-FM Tuner. Employing a fully shielded extra large tuning capacitor directly mounted to the chassis for perfect grounding, the carefully designed circuit layout and complete isolation between transformers and power mains in the 306A tuner reduce coupling to a point that easily exceeds FCC radiation requirements. The FM section employs a Foster-Seeley discriminator, "cascode" low-noise r.f. stage, triode low-noise mixer, a.f.c. and two limiters. AM section has three i.f. transformers for flat pass band, and sensitivity is 3 microvolts on an outside antenna and 50 microvolts with the built-in Ferrite loopstick. Distortion is less than 1.5% at 30% modulation on AM and less than 1% at 100% modulation on FM. Cathode follower output. Altec Division, Ling-Allee, 1515 S. Manchester Ave., Anaheim, California. User net price, less cabinet, $199.50. • Stereo-Binaural Tuner Kit. The Arkay Model ST-11 is designed for simultaneous reception of FM and AM broadcasts, or for monophonic reception of either. In effect it is two distinct self-powered tuners mounted on a single chassis. Sensitivity on FM is 4.0 microvolts for 20-db quieting. Three wideband high-gain i.f. stages and Foster-Seeley discriminator assure excellent selectivity. Image rejection is 30 db minimum. FM frequency response is 20 to 20,000 cps within 0.5 db, with distortion less than 1.0%. Variable a.f.c. adds to flexibility of FM tuning. Hum level is down 65 db. AM section features variable-bandwidth i.f. stages, with frequency response of 20 to 8500 cps in broadband position. Image rejection is 30 db minimum. A 10-kc. whistle filter eliminates inter-station interference. Features common to both sections are adjustable gain control, flywheel tuning, and edge-lighted 0-100 logging scale. The advanced engineering features contained in the ST-11 provide the custom builder a stereo tuner of excellent sensitivity and flexibility of operation. Radio Kits, Inc., 88-06 Van Wyck Expressway. Jamaica 18, N.Y. User net price $49.95; fully wired, $74.50. • AM-FM Stereo Tuner. One of the newest additions to the Bell line is the Model 3070 AM-FM stereo tuner which matches in styling the stereo amplifier of the same company. This unit features automatic frequency control, logging scale, multiplex output, and a stereo selector switch which feeds either AM or FM monophonic signal through both channels of the stereo amplifier, or feeds both simultaneously to separate channels for stereo. FM section has a sensitivity of 6 microvolts for 20db of quieting, and image rejection is 28db. Hum and noise are 50 db below 100% modulaton. The AM section furnishes a 0.1-volt output signal from a 20-microvolt input signal, while both channels give a 2.5-volt output at 100% modulation at usual input signal levels. Cabinet has unusually low silhouette, being only 4" high by 16" wide and 11" deep. Bell Sound Division, Thompson Ramo Wooldridge inc., 55D Marion Kd., Columbus 7, Ohio. • Budget-Priced Stereo Receiver. The Bogen-Presto "Challenger" Model RC412 is an FM AM stereophonic receiver with a dual 6-watts-per-channel amplifier which delivers 12 watts in monophonic operation. Frequency response is 30 to 15,000 cps. Inputs are provided for magnetic and crystal phonograph cartridges, tape recorder, and auxiliary equipment. The receiver has built-in antennas for both FM and AM, as well as a connection for outside antenna. A multiplex switch is also provided. Hum and noise level is down 58 db on FM, 48 db on AM, and 45 db on all other inputs. Distortion is 1.5% on FM, 3.0% on AM. and less than 1.0% on phono and tape channels. Audio sensitivity is 4.0 mv for magnetic cartridge and tape operation. Bogen-Presto Company, a Division of The Siegler Corporation. Paramus. N.J. User net price, less enclosure $109.50; enclosure. $8.50. • Stereo Tuner. Modest price and good performance are combined in the De Wald Model X-1000-B "Ambassador" FM-AM stereo tuner. Included in the circuitry are eight tubes plus diode detector and rectifier, with four stages of i.f. including discriminator Sensitivity is 3.0 microvolts for 2db quieting. Frequency response is 20 to 20.000 cps and hum level is stated as being 7db below 1.0 volt. Response of a.f.c. is +0.8 megacycles at 100 microvolts. Output jacks include AM, AM-FM monophonic, FM stereo, AM tape. FM tape, and multiplex. The Tuner is cased in an attractive black picture-frame housing with brushed-brass face plate. De Wald Radio Division of United Scientific Laboratories. Inc., 35-15 37th Ave., Long Island City 1. N.Y. User net price, including cabinet, $99.95. • Wide-Range AM Tuner Kit. The new Model HFT94 is a basic AM tuner designed primarily for high fidelity application. It matches in size and appearance the EICO HFT90 FM tuner, the two tuners making excellent companion units for stereo operation. The HFT94 AM tuner offers a choice of wide bandpass to 14.000 cps for high fidelity operation, or narrow bandbass to 7000 cps when the objective is to receive distant AM stations. A high Q filter eliminates 10-kc whistle while reducing response by no more than 3.0 db at 9000 cps. A full-wave rectifier and heavy filtering provides a stable hum-free supply. R.f. and i.f. coils are supplied pre-aligned so that no test instruments are needed for satisfactory operation of the completed kit. Additional features include slide-rule dial, flywheen tuning, auxiliary output for recording, and front-panel volume control. Image rejection is 58 db. Precision tuning is achieved by a traveling eye indicator which contracts into an "exclamation point" at the exact center of each broadcast channel. The HFT94 is also available completely wired, ready for installation. Electronic Instrument Co. Inc., 33-00 Northern Blvd. Long Island City 1, N.Y. User net price, $39.95; fully wired. $65.95. using a matched pair of germanium diodes offers completely linear and distortion-free operation entirely free of hum. Instantaneous-acting dual dynamic limiter stages are highly effective on any signal, whether strong or weak, eliminating ignition interference and other noise dements. A Multiplex Separation control is included on the front panel, plus Main and MPX channel positions on the selector switch, while power and electrical connections and space have been provided for simple plug-in installation of the Fisher MPX-20 multiplex adaptor when desired. The i.f. stages are flat-topped, with an unusually wide band for maximum fidelity and minimum distortion, plus steep skirts to eliminate adjacent- and second-channel interference. Included in the circuitry of the FM-100 are a dual-triode mixer-oscillator, the Fisher Microgap cascode r.f. stage, four wide-band i.f. stages, and a wide-band ratio detector. Four controls on the FM-100 include Tuning, Selector Switch. Muting Control, and Multiplex Separation. Fisher Radio Corporation, 21-21 44th Drive. Long Island City 1, N.Y. User net price, less cabinet, $159.50. 200 microvolts/meter provide a 20db signal-to-noise ratio. FM frequency response falls within +2db of flat from 20 to 15,000 cps, while AM response is down 25 db at 10 kc for interference suppression. Tuning meter indicates center-channel tuning on FM and peak of AM signal, and there is no audible drift. Circuit employs r.f. amplifier stage in both AM and FM channels for increased sensitivity and reduced noise. General Electric Company, Specialty Electronic Components Department, Utiea, New York. • FM-AM Stereo Tuner. Matching the new Grommes "Premiere" series of amplifiers in appearance, the new Model 103GT stereo tuner features FM sensitivity of better than 1.0 microvolt for 20db quieting. The FM section has grounded-grid input, tuned cascode r.f. stage, automatic frequency control, dual limiters, and broadband Foster-Seeley discriminator. Matched crystal diodes are used for detector. The AM section has variable i.f. selectivity, infinite-impedance detector, and 10kc whistle filter. FM frequency response is 211 to 20,000 cps +0.5 db ; AM response is 20 to 7500 cps +3.0 db in broad-hand position. Tuning meter, flywheel tuning, and slide-rule scale simplify station selection. Output is provided for FM multiplex. FM distortion is reduced to negligibility at 100% modulation. Push-button switches control tuning meter. AM bandwidth, a.f.c. in-out, and power off-on. Precision Electronics. Inc. 9101 King St., Franklin Park. 111.
transit ionally-coupled i.f. stages. It uses an Armstrong circuit with pentode limiter, wideband Foster-Seeley discriminator, and automatic frequency control. The AM circuit is a superheterodyne with a.v.c. and a built-in ferrite loopstick antenna. FM sensitivity is 3.5 microvolts for 20 db quieting; 7.0 microvolts for 30 db quieting. FM frequency response is 30 to 15,000 cps ±0.75db. Inter-modulation is under 3.0% at 100% modulation. Harman-Kardon, Inc., 520 Main St., Westbury, N.Y. User net price, with enclosure, $114.95. • FM-AM stereo Tuner Kit. Outstanding features in both circuitry and styling in the PT-1, a 16-tube deluxe FM-AM combination, include: three circuit boards for easy construction and high stability : wired, prealigned 3-tube FM tuning unit; tuning meter; a.f.c. with on-off switch, and flywheel tuning. FM and AM circuits arc separate and individually tuned. Cathode-follower outputs with individual level controls are provided for both sections. Other features include variable AM bandwidth. 10kc whistle filter, tuned-cascode FM front end. FM a.g.c. and amplified a.v.c. for AM. Unique i.f. limiter design automatically provides the number of limiting and i.f. stages required for non-flutter reception of weak or strong stations. Depending on signal strength anywhere from one to four limiters or i.f. 's are automatically provided. FM sensitivity is 2.0 microvolts for 20-db quieting. Harmonic distortion is less than 1.0%. Frequency response is 20 to 20,000 cps ±2 db on FM. A jack is provided for use of a multiplex converter without changing existing circuitry. The tuner is housed in a vinyl-clad steel cabinet finished in black with gold trim. Heath Company. Benton Harbor, Mich.
• Twelve-Channel FM Tuner. Although similar basically to earlier versions of the Tunematic FM tuner, the new XT series embodies a number of notable improvements. Up to 12 channels may be had in the new models, each channel individually controlled by a precise quartz crystal ground to military specifications. In eject, the Tunematic is a group of fixed-frequency tuners mounted on a single chassis. Other refinements in the newly-designed chassis include a volume control combined with power switch on the front panel, and the use of silicon diodes to replace the tube rectifier with the accompanying advantages of cooler operation and indefinite life. Frequency response of the XT series is stated to be 15 to 30,000 cps ± 0.5 db from antenna to cathode-follower output. Intermodulation is 0.5% maximum at 100% modulation. The dial of each Tunematic is custom tailored for the area in which it is to be used. If the user moves, crystals can be exchanged to cover his new location at no extra cost. Karg Laboratories. Inc. South Norwalk. Conn. User net price, including ventilated metal cabinet. $199.50. • FM-AM Stereo Tuner. The Knight Model KN-125 incorporates two sensitive tuners on a single compact chassis. The tuners can be used individually for AM or FM reception, or can he used simultaneously for FM-AM stereo broadcasts. A cathode-follower multiplex output is provided for use when this form of transmission becomes available in the listener's locality. An exclusive dynamic-sideband-regulation circuit controls incoming signal to reduce distortion of very weak or over-modulated signals on FM. FM sensitivity is 2.5 microvolts for 20db quieting ; 4.0 microvolts for 30-db quieting. Circuit includes limiter-deteetor with dual limiters, tuned r.f. amplifier, and switched automatic frequency control. FM frequency response is 20 to 20,000 cps ± 0.5 db. AM sensitivity is 5.0 microvolts for 20 db signal-to-noise ratio, and frequency response is essentially flat fiom 50 to 7000 cps. Three-position variable-bandwidth i.f. is employed in the AM section. A separate cathode-ray tuning indicator is incorporated for each tuner. Handsome in appearance, the KN-125 will lend distinction to any surroundings. Allied Radio Corporation. 100 X. Western Ave., Chicago SO. 111. • FM Tuner. The new "Trough Line II" tuner matches in appearance the newly-styled Leak "Point One" stereo preamplifier. Sensitivity of 1.5 microvolts for 20db quieting makes practical the reception of FM stations on considerable distances. Cathode-follower output delivers 1.0 volt and facilitates the use of long output leads with negligible high frequency attenuation. Automatic frequency control is included in the circuitry for drift-free tuning. A magic eye assures tuning accuracy. Controls include on-off switch, a.f.c. off-on, tuning, and local-distance. British Industries Corporation, 80 Shore Road. Port Washington, N.Y. User net price, less cabinet, $129.00. • FM-AM Tuner. Developed for the connoisseur, the MR-55A tuner sets high standards in distortion-free FM-AM reception. The FM section has a sensitivity of 3.0 microvolts at 100% modulation for less than 3.0% total distortion, using IHFM measurement standards. Distortion-free a.f.c. is completely variable. Hum is 70db below full signal. Capture ratio is 1.0 to 0.8. Frequency response is 20 to 20.000 cps +3.0 db. I.f. bandwidth is 200 kc. flat on top. Silence between stations while tuning is achieved by means of Mcintosh "Ultrasonic" muting circuit. AM section features 3-position i.f. bandwidth control, with frequency ranges to 9500, 6500, and 2000 cps. Exceptionally strong a.v.c. assures less than 4.0db audio output change with variation in input from 10 to 100,000 microvolts. Sensitivity selector has three positions. Whistle filter has 70db rejecton at 10.000 cps. Two tuning meters are incorporated in the MR-55A, one each for FM and AM. Mcintosh Laboratory, Inc. 4 Chambers St., Bingham-ton, N.Y.
• Stereo FM-AM Tuner. The Pilot Model 680 is a deluxe unit built to professional specifications, and which offers unsurpassed reception, even in difficult fringe areas. Its independent AM and FM sections may be used individually for monophonic reception, or simultaneously for stereo broadcasts. With an external multiplex demodulator the 680 will provide FM-multiplex reception. The FM tuner section features 1-microvolt sensitivity for 20db quieting. Freedom from drift is assured by means of a temperature-compensated oscillator. Wide-band detector (1000 kc wide) makes tuning non-critical. Interstation noise suppression (muting) is equipped with control for defeat when desired. Audio output is constant and independent of signal level. The AM section of the 680 has sensitivity of 2.0 microvolts/meter. It employs a germanium diode detector for lowest possible distortion. Featured is a high-gain pentode r.f. amplifier, two steep-skirted i.f. stages with front-panel band-width control, and a 10-kc whistle filter. A rejection trap is incorporated for i.f. interference. Separate precision tuning meters are provided for FM and AM. Built-in ferrite core antenna. Dual cathode followers permit long output cables without signal loss. The 680 is an impressive instrument in all respects. Pilot Radio Corporation, 37-06 36th St., Long Island City 1. N.Y. User net price, complete with enclosure. $219.50. • FM-AM Tuner. Despite its low cost, the "Perfecta" is a tuner of distinctive appearance and excellent performance. Among its features is a tuning meter which assures accuracy of station selection. Circuitry includes a power transformer, with full-wave rectification. Output is of the cathode-follower type. Included in the circuit are two limiters, a Foster-Seeley discriminator, and a three-gang tuning capicitor. A logging scale and flywheel tuning assure precision tuning on both FM and AM. Panel-mounted function switch affords selection of phono. FM, AM. or TV. Variable a.f.c. eliminates drift effect on FM. Precise Development Corporation, 2 Neil Court, Oceanside, N. Y. User net price, less cage, $99.95. • Stereo FM-AM Tuner. Strictly deluxe in every respect, the SR-1000 offers every feature which could be desired in an instrument of this type. Sensitivity of 0.85 microvolts for 20db quieting on FM is achieved by means of advanced circuitry and use of a gold-plated frame-grid cascode tube. Minimum AM distortion is assured through use of the well-known SR2- tube detector system. Two independently operated tuning indicators are incorporated. FM frequency response is 18 to 22,000cps ± 1.0 db. Distortion is less than 0.5% at 100% modulation. Drift is negligible after 10-sec. warmup period. The S-R loopstick, said to be the largest produced commercially, assures optimum AM signal-to-noise ratio. Variable band-width i.f. permits wide-range reception on AM. also excellent selectivity for distant stations. Whistle filter gives 65-db attenuation at 10 kc with no effect at 8.5 kc. Cathode follower outputs are used for both AM and FM. Sargent-Rayment Company, 4926 E. 12th St., Oakland 1. Calif.
• FM-AM Stereo Tuner. The wide-range AM section of the Model 330-D tuner, plus a highly sensitive, drift-free, wide-band FM section make it an excellent choice for the reception of AM-FM stereophonic broadcasts. FM sensitivity is 1.0 microvolt for 20db quieting with matched 72ohm antenna. Illuminated tuning and signal-strength meter for both FM and AM permits precision tuning of very weak stations. Automatic gain control affords low capture ratio, assuring rejection of interference practically as strong as the station being received ; 80-db rejection of spurious response from cross modulation by strong local signals makes possible the use of this tuner in any location, even close to FM transmitters. The AM section of the 330-D contains a 3-position adjustable i.f. bandwidth - wide-range, normal, and distant. A 10-kc whistle filter minimizes interstation interference. Low-impedance outputs permit installation of the tuner at any practical distance from the amplifier without signal deterioration. Separate outputs are incorporated for tape recorder and for multiplex. Notwithstanding its compactness, the 330-D is an excellent performer in every respect. H.H. Scott, Inc., 111 Powder Mill Road, Maynard, Mass. • FM-AM Tuner. Featured in the Model S-2000 II tuner is one of the most sensitive FM circuits ever developed, permitting 20db quieting with only 0.95 microvolt signal input; 3.6microvolts affords a signal-to-noise ratio of 50db. This unusual sensitivity makes FM reception practical beyond 100 miles. In addition, highly stable coil design, delayed automatic gain control, and Foster-Seeley type discriminator preceded by three limiters, assure a minimum of distortion even with modulation over 100%. The AM section of the S-2000 II features a selection of either a 15kc wide "hi-fi" bandpass or a sharply selective 5kc bandwidth for listening to weaker stations without noise and interference. A high-Q filter traps out 10-kc interstation whistle while reducing audio response less than 3db at 8kc. A built-in ferrite-rod antenna is pivot-mounted and may be oriented for best reception of distant stations. FM frequency response is 20 to 20,000 cps within +0.5db. A multiplex output jack is provided for connection to a multiplex adapter. Sherwood Electronics Laboratories, Inc., 4300 N. California Ave., Chicago IS, 111. User net price, less case, $145.50. • FM-AM Tuner. Engineered for easy, accurate tuning, the Stromberg-Carlson Model SR-440 also features high sensitivity to provide outstanding FM performance in fringe areas and to permit reception of distant AM stations. FM sensitivity is 0.9 microvolt for 20-db quieting. Wide peak-to-peak separation (550 kc), a long linear slope (350 kc) of the balanced-ratio FM detector, and low-noise golden-grid cascode front end result in high signal, low noise, and exceptionally stable output. Improved temperature-controlled circuitry eliminates drift for all practical purposes. Frequency range on FM is 20 to 20,000cps; on AM it is 20 to 7000 in broadband-width position. FM i.f. bandwidth is 200 kc ; AM is 15 kc broad. 8 kc sharp. The tuner is well within FCC requirements for spurious radiation. Distinctively styled with white face plate and bunished brass escutcheon and knobs, the SR-440 matches its impressive performance with handsome appearance. Special Products Division, Stromberg-Carlson, 1400 N. Goodman St., Rochester 3, N.Y.
• Low-Cost "Acoustic-Suspension" Speaker System. Selling for less than a hundred dollars, the AR-2 speaker system uses the AR-patented acoustic-suspension principle, in which a small enclosure is accompanied by improved rather than compromised reproduction quality. In this design the speaker (woofer) cone is mounted on very free suspensions, so compliant that they are unable to provide the elastic restoring force normally required of them. The missing elasticity is then reintroduced by the pneumatic spring formed by the air within the cabinet. The cone literally rides on air instead of on mechanical springs. The small enclosure size is necessary for optimum performance. The AR-2 is a 3-speaker system comprising a single woofer and two 5-in. tweeters. Frequency response is more than adequate to cover the entire range of musical instruments. Horizontal dispersion is 90 deg. Dimensions of the AR-2 system are 13^"h x ll%"d x 24"1. Recommended for use with amplifiers having power output of 20 to 40 watts. - Acoustic Research, Inc., 24 Thorndike St., Cambridge 41, Mass. • Economy Speaker System. The Monterey Jr. is a compact moderately-priced system whose quality of reproduction equals that of some systems costing considerably more. A small ruggedly-built bass reflex enclosure houses an Altec 402A 8-in. "controlled-linear-excursion" speaker and the newly-designed 2000A direct-radiator cone tweeter. Frequency range of the Monterey Jr. is stated by the manufacturer to be 20 to 18.000 cps, and power rating is 15 watts. Impedance is 16 ohms. A single Monterey Jr. is excellent for monophonic listening, while two make an ideal medium-priced stereo system. It can be flush-mounted in a wall or ceiling, or used in a console as an integral part of a music system. Dimensions are ll"h x 23"w x 11"d.
User net price, in walnut, blond or mahogany, $79.50 unfinished, $69.50. • Multi-Speaker Systems. Designed by George Nelson, one of the country's leading furniture and industrial designers, the new Audax speaker series brings a distinctive blend of beauty and fundionalism to component high fidelity. "The idea behind the Audax speaker systems was to make them interesting, exciting furniture pieces, beautiful in appearance as well as sound." said Mr. Nelson. The Audax cabinets are finished on all four sides, to be used as wall units or free standing. Each model has detachable legs and a new type of speaker grille, a three-dimensional "acoustical screen" which can be removed easily for cleaning. Model CA-80 contains two 8-in. extended-range speakers. Model CA-100 has two 10-in. woofers, plus two cone tweeters. Both units are identical in external appearance. Both are intended for bookshelf placement, and also may be used as floor units. Both systems use Audax "Paraflex" speakers, a patented new design with many innovations, giving a sound quality which is smooth and natural. Audax, Inc. Division of Rek-O-Kut Company, Inc. 38-19 108th St. Corona 68. N.Y. User net price for the CA-80 is $99.95 ; for the CA-100, $139.95. • Wide-Range Speaker System. Although extremely compact, the Audio-Tech Model ME12 has a frequency range of 37 to 20.000 cps. - Containing a 12-in. woofer and a 3-in. cone-type tweeter, it incorporates a special calibrated level control for high-frequency balance. Colored binding posts permit easy determination of polarity for connection in stereo music systems. The speakers are fused to prevent damage from accidental overload. Enclosures are made from selected walnut, mahogany and fruitwood. with a handsome, hand-rubbed oil finish. Audio-Tech Laboratories, 3420 Newkirk Ave., Brooklyn 3, N.Y.
• Small Speaker System. The Spinet, a new, small speaker system has been introduced by Bozak to meet the needs of listeners who have a pronounced space problem. Measuring a compact 14"h x 23"w x ll"d, it has a naturalness of response in bass, midrange and treble which is compatible with the larger Bozak speaker systems. The Spinet is available in two models : the two-way B-500 system, and the three-way B-502 system. Both models utilize the same finely-constructed, integrated components found in larger Bozak systems, and upon which the Bozak "Systematic Growth" idea is based. This latter enables users to start with a modest installation, and then to "build" on it as they desire, without having to replace initial components. The Spinet is available finished in mahogany, blond, walnut, or ebony, or unfinished for those who wish to match the cabinet to an existing decor. R. T. Bozak Sales Company, Darien, Conn. User net price B-500, $134.50 ; B-502. $209.50. • Compact Wide-Range Speaker Enclosure. The Bradford enclosure, made in four sizes for 8-, 10-, 12-, and 15-in. speakers, is only two inches larger than the speaker it contains. Its construction is based on a variable-damping principle, in which speaker damping is varied automatically by a pressure relief valve in the rear of the cabinet. Operation of the valve is coordinated with cone excursion. In reality, it is an "acoustic spring" acting uniformly over the entire rear surface of the cone. Boominess and the effects of cabinet resonance are virtually eliminated. The Bradford enclosure will enable the user to realize the potential of most any speaker with which it is used. Bradford Audio Corp., 27 E. 38th St., New York 1G, N.Y.
Prices of the Bradford enclosure range from $39.50 to $09.50, depending on size and finish. • Electrostatic Mid-Range Speaker/Super Tweeter. Frequency range of the "ah !" extends from 600 cps to well beyond the limits of audibility. It mates easily and quickly with any woofer or full-range speaker to provide extended high-frequency response. Two push-pull capacitor elements give direct radiation over a full 120-deg. arc. Polarizing voltage is supplied by a built-in fused 1000-volt power supply which consumes practically no current and may be loft permanently connected to a 117-volt 60-cycle line. Crossover network is self-contained. Recommended crossover frequency is 650 to 850 cps. The "ah !" may be paralleled across any conventional woofer without additional network. Two "ah ! "s maybe used in conjunction with a single woofer for fine stereo reproduction. Supplied in cabinet with hand-rubbed walnut finish. Other finishes available on special order. Cosmos Industries, 31-28 Queens Blvd., Long Island City 1. N.Y.
• Ultra-Compact speaker System. Economy is preserved without any sacrifice of performance or appearance in the E-V "Esquire" Model 200. The latest addition to the broad E-V line of ultra-compact systems, it is a full 3-way system using specially designed and coordinated components. Bass is delivered from a highly-compliant 12-in. woofer with a long-throw voice coil. An 8-in. cone driver is incorporated for smooth mid-range, and the E-V Sonophase-throat-design tweeter handles the very highs. The acoustically-correct enclosure is coordinated in design with the three drivers to provide a measure of performance which is hardly believable in a system of such compact size. The diffraction horn employed on the tweeter makes the Esquire 200 ideal for use in pairs for full-range stereophonic reproduction. Supplied in hand-rubbed hardwood veneers, it will add distinction to even the most tasteful surroundings. Available in walnut, mahogany, or limed oak. Electro-Voice. Inc., Buchanan, Mich.
• Thirty-Inch Woofer. This is the world's first mass-produced 30-in. loudspeaker. Engineered expressly for use in the well-known E-V "Patrician" 700, the Model 30W is also highly recommended for use in any custom installation of exceptional quality. The speaker frame is a massive one-piece rigid casting which supports a true piston formation cone. - The cone in itself is revolutionary, being a one-piece molding of polystyrene foam manufactured by a newly-developed injection-forming process. The 30W is capable of reproducing bass tones in the range of 18 cps with earth-shaking reality. While these tones do not exist in pure form in commercially- recorded music, there are undertones and sub-harmonics in this area which add distinctly to realism in reproduction. Electro-Voice. Inc., Buchanan, Mich.
tern. It employs a modified Helmholtz-radiator principle, and has a frequency range from below 70 to 15.000 cps. Power handling capacity is 12 watts continuous. Tweeters are mounted for right and left placement for stereo. The cabinet is equipped with two concealed plastic feet and is finished in hand-rubbed natural walnut. The Monte Carlo is shipped two to the carton, matched for stereo. International Electronics Corporation, 2649 Brenner Drive, Dallas 20, Tex. User net price, the pair, $99.50. • G-E Tiro-Way Speaker System. Engineered for high-quality sound reproduction in a limited space, the Model G-501 is a new, compact speaker system announced only recently by General Electric's audio components section. Termed a "stereo-compact" system, the G-501 will deliver excellent audio performance, yet is only 22"w x 13"h x 9"d, true bookshelf dimensions. The new unit is based on GE's extended-bass design, and has a woofer, tweeter, and electrical crossover network all housed in a dramatically styled enclosure. The G-501 presents a departure from previous G-E speaker systems, blending rich wood finishes, new grill patterns, and greater use of metal trim. • Four-Way Speaker system. Built to a standard of high quality without compromise, the new Goodmans "Tetraxiom" is a unitized 4-way speaker featuring the "Rigidflex" cone, a flexible free-floating cone rim and rigid cone center to provide pure piston action. The Tetraxioms have high power capacity and smooth response from 20 to 20,000 cps, with usable response to 35,000 cps, according to the manufacturer. They are composed of four independent, concentrically-placed radiators, each of which is designed for maximum performance and efficiency within its portion ot the spectrum. In addition to tic Rigidflex woofer, the Tetraxiom contains a rear-driven "Midax" mid-range radiator, and two pressure driven horn-loaded high-frequency "Tre-bax" tweeters which are angled to the polar axis for wide dispersion of the highs. Because of the massive nature of these speakers, and the need for absolute rigidity, all structural members are heavy eastings. .Manufactured in England, Goodmans speakers are distributed in the United States by Rockbar Corporation, Mamaroneck, N.Y.
Model 355, same but with 40-watt power handling capacity, $196.50. • Compact Full-Range Speaker System. The Hartley "Capri" comprises a full-range full-size speaker mounted in a handsome natural wood cabinet which measures 24"w x 13"h x 12"d. The grill is made of bamboo, adding a note of distinction to the appearance. The driver has a "polymerized" cone developed by Hartley engineers for rigidity and extreme lightness. Audible response extends from 30 to beyond 16,000 cps. The Capri cabinet is tilled with 35 linear feet of absorbant material to form in effect a "tunnel" 10 feet long. Hartley Products Company, Inc. 521 E. 162nd St., New York 51, N.Y.
• Three-Channel Four-Speaker System. Made in Western Germany by a foremost manufacturer of speakers and speaker systems, the Isophon III is a superb instrument utilizing a woofer, a midrange compression type driver, and two tweeters. Matched through a universal transformer and special divider network, this combination assures utmost compensation and tonal balance at all intensity levels and uniformity of response over the frequency range of 30 to 17.000 cps. The handsome hand-crafted cabinet is designed on the distributed-port principle. The 25-watt woofer has a frequency range of 30 to 8000 cps. The midrange unit covers 1000 to 10,000 cps, while the tweeters extend from 4000 to 17,000 cps. Enclosures are available in either light Isophon Arizona finish or in dark English mahogany. Isophon Speaker Division, Arnhold Ceramics, Inc., 1 U. 57th St., New York 21'. N.Y.
• Wide-Rangt Speaker system. The Z-400, an inexpensive wide-range speaker system, marks the first time that the well-known JansZen electrostatic tweeter has been available in a compact, shelf-mounted enclosure. In the Z-400 the JansZen is acoustically paired with the Model 350 11-in. dynamic woofer. The high-compliance cone of the 350 is specially treated to provide low-frequency reproduction which perfectly complements the JansZen tweeter. The Z-400 is stated to cover the range from 30 to beyond 30,000 cps with exceptional uniformity and low distortion. Tweeter and woofer are integrally mounted in a totally-enclosed Fibreglas-filled enclosure which may be placed vertically or horizontally as desired. A built-in power supply and high-pass filter furnish power for the two push-pull electrostatic elements, and eliminate the need for external crossover networks and attenuators. The Z-400 measures 15"h x 26"w x l3"d, and is available in walnut, mahogany and birch finishes. Neshaminy Electronic Corporation, Neshaminy, Pa.
• "Satellite" stereo speaker System. The new Jensen "Galaxy II" speaker system achieves wide panoramic stereo sound with two tiny satellites and a single small bookshelf-size unit. The latter, which is called the "bass center" speaker, may be placed on floor or shelf wherever convenience and decor dictate. Finish on all four sides allows vertical or horizontal positioning. The Jensen "Flexair" high-compliance woofer has unusually low resonance and is capable of total mot ion of r,s in., providing clean bass as low as 3(3 cps. The small satellite units handle midrange and high frequencies. Their placement is not critical so long as they are placed to the left and right of the center unit. They may be spaced as much as 20 feet apart and still provide stereo sound with excellent spacial center-fill. The Galaxy II system provides the equivalent of two complete 3-way speaker systems with the added feature of a "derived third channel" for eliminating the "hole-in-the-middle" effect. The Flexair woofer is driven by two voice coils, one for each channel of the stereo system. Frequency range of the complete system is 3(3 to 14,000 cps and power rating 25 watts. Jensen Manufacturing Company, 6001 S. Laramie Ave. Chicago 38, 111.
the same assembly is available unfinished in kil form. $92.50. • Model Seven Speaker System. This is the newest in the KLH line of integrated speaker systems. Enclosed in a sealed cabinet matched to their acoustic requirements are a 12-in acoustic-suspension woofer and two newly-designed director-radiator tweeters. A built-in L-C crossover network contains a 3-position switch for increasing or decreasing high-frequency level by 3db. Enclosure volume is 2.6 cu.ft. Full-range frequency response of the Model Seven permits reproduction of the entire musical spectrum with a degree of realism which is unsurpassed. Power handling capacity is 75 watts of program material. Impedance is 8 ohms. Dimensions are 26"h x 21"w x ll"d. KLH Research and Development Corporation, 30 Cross St., Cambridge 39, Mass. • Wide-Range 12-in. Speaker. Although modestly priced, the Kingdom Lorenz Model S-1288 offers no compromise in impressive performance. When properly housed it has a frequency range of 18 to 15.000 cps because of dual-cone construction. Fully tropicalized for operation in any climate, it is built on a non-resonant cast-aluminum girder-constructed frame. Twin voice coils have impedance of 4, 8, or 16 ohms : one coil may be connected to each of two stereo amplifiers to provide a common woofer for the two channels. Magnet assembly weight is 61.5 oz. Power rating is 30 watts peak. Kingdom Products. Ltd. 514 Broadway, New York 12. N.Y.
• Bookshelf Speaker Enclosure. This cabinet is engineered to obtain optimum performance from any l2" wide-range speaker or 12-in.-woofer-tweeter combination with no loss in speaker efficiency. Although the design is basically that of the family of "reflexed" or "ported" enclosures, there are two unique departures. These are an elliptical port and a triangular-shaped diffracting ring mounted on the front of the baffle board. These features serve to broaden the frequency response, improve transient response, and create a "lens" effect, changing relative particle velocities and consequently, phase relationships so as to produce a smooth transition from front to rear radiation. Lafayette Radio. 165-08 Liberty Ave. Jamaica 33, N.Y.
• "Linear Efficiency" Speakers. The Lansing Model LE8 is a remarkable new full-range transducer of unique design. Engineered specifically for small enclosures or infinite baffle mounting, the performance of the LE8 in an enclosure of only 1 cu. ft. is outstanding. Smallest of the new JBL "Linear Efficiency" components, the LE8 delivers full bass by means of its exceptionally long linear travel. It will produce high sound intensity in a large room when driven by only 1.0 watt of amplifier power. Voice-coil diameter is 2" and free-air cone resonance is 37 cps. Power handling capacity is 20 watts continuous. For excellence of performance in a compact enclosure, the LE8 is unsurpassed. James B. Lansing Sound. Inc. 3249 Casitas Ave. Los Angeles S9, Calif.
• Speaker Series. Illustrated is Model AD-5277M, the most powerful in the new T-7 series of twin-cone speakers manufactured by "Philips of The Netherlands", and featuring Ticonal7, a high-coercivity alloy which provides the highest possible concentration of flux densities in the voice-coil air gap. Weight for weight, Ticonal 7 is said to be about 30% more powerful than any of the conventional magnet materials used in speaker construction. Voice-coil impedance of the new T-7 speakers is held constant throughout the entire frequency range by means of a copper ring fitted into the air gap. The ring acts as a shorted turn which induces a current opposite in polarity to that flowing through the voice coil, which reduces that current, thereby lowering the impedance to its proper level. The resonant frequency of the T-7 speakers is very low, resulting in an extremely straight response curve in the bass region. In addition to the cone for low and middle notes, the speakers are equipped with a high-note cone which extends the upper frequency range. Model AD-5277M is a 12" speaker with a frequency range of 35 to 18,000 cps and 20-watt continuous power handling capacity when properly housed. Cone resonance is 35 cps. High Fidelity Products Division, North American Philips Company, Inc. Hieksville. N. Y. • RJ/Wharfedale speaker Sstem. Combining the RJ/8 enclosure with the Wharfedale Super 8/FS/AL speaker, this compact assembly is deally suited for stereo music systems. The RJ enclosure, when it was introduced six years ago, established an entire class of products. The RJ is distinguished from all other small-size speaker enclosures by a unique internal design, which is covered by two U.S. patents. Basically, the RJ enclosure gives undistorted bass notes without compromise because of size. The RJ/Wharfedale will fit handily into a single shelf of a bookcase. Dimensions are 11"h x 23"w x 10"d. RJ Audio Products. Inc. 80 Shore Road, Port Washington, N. Y.
in mahogany, walnut, or blond finish, $59.50. • Low-Cost Speaker System. The Realistic "Trio" is an impressive performing 3-speaker system which compares well with similar systems costing considerably more. The Trio enclosure has a laminated mahogany finish on all four sides, permitting horizontal or vertical placement in any desired location. The two tweeters are mounted on a separate inner mounting board which can be rotated 90 degrees to permit full dispersion regardless of the position in which the speaker is used. The 8-in. woofer is equipped with a center-mounted acoustic cut-off filter to yield cleaner lows. A dual high-pass filter network gives smooth crossover, with over-all frequency range of 35 to 17,000 cps. A pair of Trios is ideal for a stereo music system. Radio Shack Corporation, 730 Commonwealth Ave., Boston 17, Mass. User net price, $44.50. • Twelve-Inch Coaxial Speaker. Proof that quality high-fidelity components need not be expensive is demonstrated by the Model CA-12A speaker, which has a frequency range of 35 to 20,000 cps when properly baffled. An economy speaker, it is free of expensive trimmings, yet meets all of the requirements of a primary speaker in either a monophonic or stereo music system. Frequency separation at 2.000 cps is achieved by means of a built-in inductor-capacitor dividing network. The securely-supported eliptical tweeter has a rigid, curvilinear cone to eliminate cone decoupling below 20,000 cps. Resonant frequency of the W-12 woofer is 50 cps, and power-handling capacity is 40 watts of program material. Impedance is 16 ohms. Sonotone Corporation, Elmsford, N. Y. User net price, CA-12A $27.50 - The W-12 woofer is available separately at a net price of $12.00. • Ten-Inch Wide-Range Speaker. Both economy and excellent performance are inherent in this newest addition to the extensive line of high-fidelity speakers manufactured in the United Kingdom by Whiteley Electrical Radio Company. The model HF1016U universal 10" speaker has a frequency range of 30 to 15,000 cps. Transient response is similarly excellent. Power rating is 15 watts and cone resonance is 35 cps. The patented Stentorian stabilized cambric cone is used, and the speaker is mounted on a diecast, non-resonant frame. Distributed exclusively in the United States by Barker Sales Company, 339 Broad Ave., Ridgefield. N. J. • "Stereodot" Speaker System. This system comprises two speakers in small sealed enclosures which are placed on each side of a full-range speaker to achieve three-channel stereo reproduction. The placement is not critical, and may be as little as four feet from the center speaker, or as much as the entire length of the wall. In operation, a filter network is connected to both stereo amplifiers, the Stereodot units, and the center speaker. This network feeds all frequencies below 250 cps to the center speaker, at the same time feeding each Stereodot unit with one of the side channels at frequencies upward from 250 cps. The network also combines the tw*o side channels to form a "matrixed" third channel signal which is fed to the center speaker through a level control. It is this third channel which makes possible the surprisingly realistic performance of the Stereodot system. The two Stereodot speakers, not having to reproduce bass, are extremely compact and easy to place in any installation. Stephens Trusonic, Inc. 8538 Warner Drive, Culver City, Calif. User net price, including level control, $139.50. • Fifteen-Inch Coaxial Speaker. Designated Model 150CX, this unit heads up the new line of Stephens Trusonic speakers featuring "free-cone" suspension, a unique design which affords free excursion, resulting in minimized distortion, as well as improved bass and transient response. Combined in the 150CX is a cone with free air resonance of 23 cps, and the new Stephens Toroid Tweeter. Frequency response in proper housing is stated to be 20 to 30,000 cps. Woofer voice-coil diameter is 3 ins. Program power handling capacity is 35 wratts. Stephens Trusonic, Inc., 8538 Warner Drive, Culver City, Calif.
• Fifteen-Inch Dual-Concentric Speaker System. This system is made up of the Tannoy 15" "Monitor" dual-concentric speaker and the "Belvedere Senior" stereo enclosure. With each unit designed to complement the characteristics of the other, this combination results in sound reproduction which is unsurpassed. The 15" Monitor dual-concentric incorporates the patented Tannoy "magnetic shunt," one of the notable developments in speaker design within the last ten years. By the use of this device, magnetic losses are reduced considerably, with resultant smoother response, better damping, improved transient response, and higher efficiency. Frequency response of the 15" Monitor is 23 to 20,000 cps. Its bass resonance is 32 cps, and power handling capacity is 50 watts. Intermodulation products are less than 2.0. The Belvedere Senior enclosure is solidly constructed of 1" bonded material and embodies a dual-damped-port principle, providing maximum performance for minimum physical size. The complete system provides clean, sharp transients, and a well-integrated sound source, particularly desirable in stereo. Tannoy (America) Ltd. Box 177, East Norwich, N. Y. • "Trimensional" Stereo Speaker System. Containing two complete multi-speaker systems in a single handsome enclosure only 30" wide, the TMS-2 employs a new principle of obtaining stereo separation. Frequencies of both channels are projected to the rear and side walls of the room in which the Trimensional is used. Thus, one large wall area becomes channel "A", while another becomes channel "B". The result is excellent separation, depth, and broad sound distribution. Components include a Model C-12HC dual-voice-coil woofer, two 8" midrange drivers, two wide-angle tweeters, and two networks with "presence" and "brilliance" controls. Dimensions are 30" w x 25"h x 12"d.
in blond or walnut, $263.00. • Three-Way 8" Diffaxial Speaker. This is the most elaborate of University's new Series 200 speakers. An excellent performer, rivalling many larger models, it features a sturdy diecast basket and "trueaxial" construction with reciprocating-flare compression tweeter projected through the center of the woofer. Mid-range is reproduced by a multi-element Diffusicone section with 1000-cps mechanical crossover. Tweeter crossover is electrical at 5000 cps. Woofer is equipped with exceptionally large voice coil. Response is 40 to 15,000 cps. Power handling capacity is 25 watts. University Loudspeakers, Inc., 80 S. Kensico Ave., White Plains, N. Y. • Hallmark Speaker System. Built by Vitavox, Ltd. of London, the new Hallmark speaker systems are based on a unique enclosure design, and incorporate the Vitavox DU120 duplex-coaxial full-range speaker. Nominal frequency range of the units is 30 to 15,000 cps and English power rating is 15 watts. A built-in control affords adjustment of the balance between bass and treble. The graceful appearance of the enclosures, which serves to enhance the decor of any room, conceals the detailed technical features of the interiors which are acoustically designed to ensure excellent results from cabinets of moderate dimension. Hallmark speaker systems are available in Lowboy (illustrated) and Tallboy models in a wide range of finishes. Distributed exclusively in the United States by Ercona Corporation, 16 W. 46th St., New York 36, N. Y.
escutcheon and three feet of flexible cable, is fitted to the tweeter. British Industries Corporation, 80 Shore Road, Port Washington, N. Y. • Coaxial Speaker. The new Wigo line of high-fidelity speakers w7as devised to eliminate technical overlap and duplication while retaining complete compatibility between the various components offered. Model CX212, illustrated, is a factory-assembled coaxial system comprising the Model ERD-12" extended-range speaker, the Model CX2 twin tweeter, and the FW2 3000-cps crossover network. Each item may be purchased separately. The ERD-12 is highly efficient and has a 40-cps cone resonance. Response range is 30 to 15,000 cps. A sturdy cast-aluminum frame supports the 8-lb. 13-oz. magnet assembly. Power rating is 30 watts. The CX2 twin-tweeter array extends frequency response to beyond audibility, at the same time enhancing high-frequency dispersion. United Audio Products, 202 E. 19th St., New York 3, N. Y. • Improved Stereo Record Changer. Featuring a 6% -lb. non-magnetic turntable, the new "Constellation" Model TC-99 is the finest changer Collaro has yet introduced into the American market. Performance specifications for the unit are said by the manufacturer to "exceed NARTB standards for wow, flutter and rumble." Bearing out this contention a laboratory report is enclosed with every TC-99 giving the actual results of wow, flutter, and rumble tests on the unit. The heavy-duty 4-pole motor is precision-balanced and screened with triple interleaved shields to eliminate hum pickup. The rotor of the motor is dynamically balanced. Other important features include a new two-piece stereo transcription-type tone arm with detachable 5-terminal plug-in head shell. The arm is spring-damped and dynamically-counterbalanced to permit the last record in a stack to be played with the same low stylus pressure as the first. Between the top and bottom of a stack of records there is a difference of less than 1.0 gram in tracking force. Vertical and horizontal friction are reduced to the lowest possible level. Manufactured in England, the Collaro changer is distributed in the United States by Rockbar Corporation, Mamaroneck, N. Y. • Deleuxe Changer Turntable. The "United Audio DUAL-1006" is a precision-built machine in all respects. It will track and operate automatically with stylus force as low as 1.5 grams. Operating at all four standard speeds, it incorporates a motor of unusually high power, assuring constancy of speed under any normal load condition. Field coils are tropicalized, and thorough shielding prevents hum. The lightweight tone arm is of one-piece construction and is equipped to accommodate interchangeable cartridges by means of a locking-key snap-in arrangement. Direct set of ball bearings in both axes insures freedom of lateral and vertical motion. Finger-tip stylus-force adjustment is mounted directly on the tone arm assembly. Patented roller-feeler guide in the tone-arm head permits the 1006 to operate automatically and intermix, regardless of record size. Past change-cycle time is constant irrespective of operating speed. A stereo-mono switch introduces a phase-cancelling feedback circuit to remove vertical signal when stereo cartridge is used to play mono-phonic records. Anmerkung aus 2019 : Laut Service Manual des 1006/A werden gerade mal die beiden Stereo-Kanäle kurz geschlossen. Ein "Feedback-circuit" kann ich nirgendwo erkennen. Und so funktioniert das nicht. Mehr dazu steht hier. Notwithstanding its many features, the DUAL 1006 is simple to operate, only three push buttons being used to govern start, stop, reject, and repeat functions. A muting switch assures silence during changing cycle. United Audio Products, 202 E. 19th St., New York 3. N. Y. • Model RC88 Record Changer. The precision watch-like construction of this 4-speed automatic and manual record player suits it for association with the finest of high-fidelity components. Rumble is so low that it approaches the minimum standards for in a professional turntable. All levers are machined to close tolerances and are fully adjustable ; easy and inexpensive to service. Heavy steel table minimizes wow and reduces possibility of hum pickup when using magnetic cartridge. A 4-pole shaded "induction-surge" motor further reduces the chance of hum pickup and assures constancy of speed with vibration eliminated for all practical purposes. Interchangeable plug-in pickup shells accommodate all standard cartridges. Stylus pressure adjustment is easily accessible from top side of mounting board. Manual play, with tone arm disengaged from changer mechanism, is accomplished by means of a switch ; arm returns to rest after each playing. Muting switch eliminates noise through speaker during changing cycle. An aluminum true-tangent tone arm provides rigidity, low resonance, low mass, aand light weight. The RC88 is an excellent changer, worthy in all respects of its reputation. Garrard Sales Corporation, 80 Shore Road, Port Washington, N. Y. User net price, less cartridge but with two universal plug-in shells, $54.50. • Stereo Record Changer. The GS Seventy-Seven is precision-engineered, completely automatic in operation, and offers new features and refinements which enhance the enjoyment of steieo records, at the same time allowing enjoyment of monophonic records to the utmost. Stylus force is variable over a wide range with easily accessible vernier adjustment. Variation of stylus force hot wren first and last record on a stack is less than 0.9 gram. The damped, acoustically isolated tone arm is not resonant within the audio range, and moves both laterally and vertically on pin-point bearings (Spitzen-Lager). Rumble, wow, and flutter have been reduced to insignificance by improved motor design. As in earlier Seventy Seven models, the turntable pauses during a change cycle, and resumes motion only after the stylus has been lowered to the next record, to reduce stylus and record-surface wear. The idler disengages automatically in "off" position to prevent wow caused by flat spots. A dual-channel muting switch and K-C network maintain silence for both stereo channels during record change and at shut-off. Glaser-Steers Corporation. 155 Oraton St. Newark. N. J. User net price, less cartridge, with two cartridge shells. $59.50. • Four-Speed Record Changer. Fully automatic, the new Lesa Model CD2/21 record changer has only two controls for all operating cycles, speed selection, start, stop, reject. Up to eight records of any size may be played with automatic intermix. For manual operation, the record balance is simply moved to its side position. When operated manually. the tone arm is returned to rest automatically after each record. A built-in click suppressor eliminates switching noises by means of an R-C network. A 4-pole carefully balanced, heavy-duty motor drives the CD2/21's turntable which has an exceptionally high moment of inertia. The tone-arm mechanism is jam-proof, the arm capable of being moved or handled at any time without damage to the mechanism. The record changing cycle time of 6 seconds is the same for all record sizes and speeds. Pre-wired for both monophonic and stereo operation, the Lesa changer is equipped with a universal plug-in shell which accommodates all standard cartridges. Elec-trophono & Parts Corporation, 530 Canal St., New York 13, N. Y. • Automatic Record Changer. Equally suitable for stereo or monophonic application, the new Miracord Model XS-200 is an automatic turntable when its manual spindle is in position, and a fully automatic intermixing changer when the Miracord "Magic Wand" spindle is used. Irrespective of whether it is used as a single-record player or as a changer, the unit is push-button controlled with no need for ever touching the tone arm. Every function - Stop, Repeat, Filter, Pause, Start - is controlled by push bottons. The jam-proof arm returns to rest after each record. A 4 1/2 lb. cast turntable assures constant speed with minimum flutter and wow. Hum is reduced to negligibility regardless of the type of cartridge employed. A 4-speed player, the XS-200 is equipped with a heavy-duty 4-pole motor which is spring-suspended to minimize vibration. All adjustments can be made without tools. Precision-built by ELAC in Western Germany, Miracord products are distributed exclusively in the United States by Audio-gersh Corporation. 514 Rroadway. New York li'. N. Y. User net price, less cartridge, $67.50. • Record Changer. The Thorens Model CD-43NS combines speed accuracy, silence, and a unique combination of operating features. It is wired for stereo. A three-speed machine, it is equipped with a "fine-tuning" knob for exact pitch adjustment. Incorporated is a pause and reject control permitting immediate record reject plus adjustable pauses between records. The machine plays 12-, 10-, and 7" records, automatically intermixing 12- and 10-in. records when desired. Control is included for manual operation. A rugged 4-pole direct-drive motor is equipped with mechanical filter to reduce rumble content. The changer automatically shuts off after the last record in a stack has been played. Operates on 50-or 60-cycle a.c, any voltage from 100 to 250 volts. Thorens, New Hyde Park, N. Y. • Hysteresis Turntable. Employing a true hysteresis motor, this new single-speed turntable will maintain a constant 33 1/3-rpm speed irrespective of normal load or line-voltage fluctuations. The 12-in. 41 1/2-lb. die-east rim-weighted aluminum table turns on a precision ball bearing and is engaged by means of an oversize heavy-duty idler wheel. Wow and flutter components are less than 0.2%, and signal-to-noise ratio is better than 45db. The unit is supplied with a heavy rubber turntable mat and mounting template. Dimensions are 13" x 14" x 6". Argonne Electronics Mfg. Corp. 165-11 South Road. Jamaica 33, N. Y. • Transcription Turntable. Built throughout to professional standards, the Connoisseur Type B turntable is a three-speed machine suitable for playing both monophonic and stereo recordings. The full 12-in. table is lathe-turned and manufactured of non-ferrous material. Underneath the table a large stroboscope disc is fitted, this being viewed through a reflecting mirror with a built-in light source. Speed change is arranged mechanically and permits a 4% variation on all operating speeds. All revolving shafts are precision ground and lapped to mirror finish. Bearings are made adjustable so that full servicing can be performed throughout the machine's life. The synchronous motor is dynamically balanced and resiliency mounted, making it virtually vibrationless. Rumble is stated to be down 50 db, and wow is less than 0.15% at rated speed. Manufactured by A. R. Sugden and Company of Brighouse, Yorkshire, Eng., the Connoisseur Type B turntable is distributed exclusively in the United States by Ercona Corporation, 16 W. 46th St., New York 36, N. Y. • Deluxe Manual Record Player. The Garrard Model 4HF constitutes a 12-in. turntable complete with transcription-type arm mounted on a single unit plate. It is fully Avired for stereo or monophonic operation. Although modest in price, the 4HF affords most of the features usually expected only in equipment considerably higher in cost. Variable speed adjustment is available on each of the four standard operating speeds. Automatic start-stop Is Duilt into the tone arm rest. A newly-designed center spindle housing is equipped with a pressure lubricating system. Handsome black, white, and chrome styling. Garrard Sales Corporation, 80 Shore Road. Port Washington, X. Y. • Precision-Built Turntable. Developed to defeat the rumble problem which came with the introduction of stereo records, the Gray 33-H incorporates an unusual bearing-shaft assembly which reduces vertical motion to negligibility. Wow and flutter are well within NARTB specifications for professional equipment. A unique motor suspension virtually eliminates vibration. A single-speed (33 rpm) machine, the 33-H is driven by a hysteresis synchronous motor through a stretch belt drive which further reduces vibration caused by mechanical coupling. Gray Manufacturing Company, Inc., High Fidelity Division, 16 Arbor St., Hartford, Conn. User net price, .$79.95. The Gray HSK-33 turntable kit contains the same engineering features as the 33-H except for smaller mounting plate. Assembly time is 25 minutes. User net price, $49.50. • "Gyropoise" Turntable. Engineered specifically for microgroove records - both monophonic and stereophonic - the Gyropoise 800 Stereotable is a single-speed machine operating at 33 1/3 rpm. It embodies a unique method of magnetic suspension, on which patents are pending, which eliminates vertical rumble to the point that it becomes inconsequential in the playing of stereo records. Vertical period of spring suspension is below 5 cps ; compound vertical rumble attenuation is 12db/octave below resonance ; noise is 65db below reference level ; speed accuracy is ±0.2% total variation. Tickering & Company, Inc., Plainview, N. Y. Model 800CB, complete base, in mahogany, walnut or blond, $15.00. • Hysteresis-Motor Turntable Kit. Meeting professional standards throughout, the Model K-33-H turntable kit can be assembled in 30 minutes or less, using only simple tools. A single-speed unit (33% rpm), it features a high-efficiency hysteresis synchronous motor built to Rek-O-Kut's exacting specifications. Noise level is 52db below average recording level. The crown-spindle belt drive uses a custom-made endless-woven fabric belt with thickness held to +0.001 in. An adjustment is supplied for belt tension. A built-in strobe disc permits constant speed check. The solid cast-aluminum turntable is lathe-turned, and tapered for easy disc handling. The entire assembly is finished in silver-tone aluminum. Where economy must be observed, the K-33-H presents an ideal means of possessing a high quality turntable at modest cost. Rek-O-Kut Company, Inc., 38-19 108th St., Corona 68, N.Y.
• Stroboscopic Turntable. Developed primarily to meet the demanding requirements of stereo, the Type 710-A turntable employs a radically new design which isolates the table proper from all extraneous mechanical vibration. It features pushbutton selection of 33-, 45-, or 78-rpm operating speed. Each speed has its own vernier adjustment and may be varied ±5.0% to match pitch of accompanying musical instruments. A built-in expanded-scale optical stroboscope permits exact speed adjustment even wdiile a record is being played. Motor rumble is more than 60db below recording level, and wow and flutter are less than 0.1% of rated speed. Precision nylon helical drive gear and steel worm are housed in permanently oil-filled transmission. A special clutch permits cueing. H. H. Scott. Inc., Ill Powder Mill Road, Maynard, Mass. • Transcription Turntable. Engineered for the finest music systems, the Thorens Model TD-124 is a four-speed machine featuring a full 12-inch, 11 1/2-pound table for lowest wow and flutter. The main table is made of cast iron to provide shielding against hum pickup. A cover table made of aluminum, plus an attractive rubber mat, mitigates the attraction of magnetic pickups. Precision-machined, the Thorens Roto-Drive is adjustable ±3.0% for exact musical pitch. A built-in illuminated strobe allows setting to exact speed while record is playing. Easy levelling is accomplished by means of a built-in level-bubble and easily accessible levelling screws. The precision 4-pole motor is equipped with a compliant belt-plus-idler arrangement which provides excellent motor vibration isolation. The TD-124 operates on 50- or 60-cycle a.c. at any voltage from 100 to 250 volts. Thorens, New Hyde Park, N.Y.
• Lightweight Turntable. Engineered especially for modern phonograph pickups having wide-range response and low tracking force, this turntable is manufactured of light aluminum and is suspended on a bearing assembly of unique design to offer a minimum of friction. The table is driven by a 12-pole synchronous motor of very small size but of adequate torque to drive the machine at exact speed regardless of line-voltage variation or normal variations in load. Noise level is 25db less than the noise recorded on high quality phonograph records. Rumble and acoustic feedback are eliminated for all practical purposes. The table is a single-speed 33 1/3-rpm machine, however additional speeds may be obtained by means of the Weathers Type P-620 Electronic Speed Control which has been designed for broadcast station use. Rumble is down to 70db, flutter is 0.1%, and wow is 0.15%. Weathers Industries, 66 E. Gloucester Pike, Harrington, N.J. User net price, ML-1 Turntable, $59.95.